Overview: What a unique opportunity to own this multi-family home on Johnson Lake. Home is currently a 5 Bedroom, 5 Bath, with a 4 car garage, Bed and Breakfast. Move in ready with pretty much everything, including a beautiful Pontoon Boat and Shore station staying! Close to the Marina, walking path, and a Golf Course nearby. Whether itâ€™s sitting on one of the 3 decks watching the sunset, or going out on the lake for fun this home has it all! Deeded ground and SID is paid in full. Call today. Overview: COME SEE THIS BEAUTIFUL JOHNSON LAKE LISTING! 3 BEDROOMS, 3 BATHROOM WITH LARGE FAMILY ROOM. BEAUTIFUL VIEWS OF THE LAKE. HOME HAS BEEN WELL CARED FOR AND HAS A GREAT FLOOR PLAN. 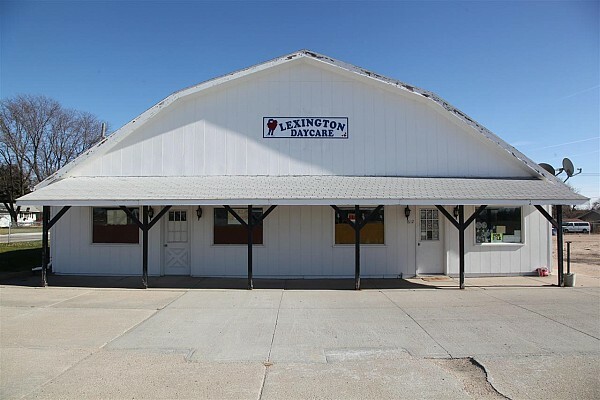 THERE IS A LARGE FAMILY ROOM IN BASEMENT AREA AS WELL AS ANOTHER HUGE ROOM THAT COULD BE USED FOR STORAGE, HOBBIES, OR JUST PILE IN THE BUNK BEDS FOR THE WEEKEND GUESTS. THIS ONE IS A MUST SEE. CALL TODAY TO SET UP YOUR APPOINTMENT. Overview: A shady deck with one of the best views of the lake are just a couple of things you will love about this new lake listing. 2 bonus rooms with bunk beds can sleep up to 10 people! Dock stays and owners will pay off the SID. Make your move now, we can get you in just in time to enjoy the entire summer!! Overview: Come see this new Johnson lake listing. Home has 3 bedroom and 2 baths. Appliances stay as well as the washer/dryer. Roof, siding, gutters & carpet in 2 bedrooms are new. Home is located just off the lake within walking distance to Lake Shore Marina. Have all the amenities of the lake without all the high costs. Call for your showing today. Overview: WALK INTO THIS BEAUTIFUL 3+ BEDROOM, 3 BATHROOM HOME AND YOU WILL FEEL AT HOME. LOCATED ON A CORNER LOT CLOSE TO THE PARK. BATHROOMS ON MAIN FLOOR HAVE BEEN RECENTLY UPDATED. YOU WILL BE AMAZED AT THE ROOM AND STORAGE THIS HOME HAS TO OFFER. LARGE FAMILY ROOM OFF THE KITCHEN WITH BEAUTIFUL FRENCH DOORS. COME AND FALL IN LOVE WITH THIS HOME. Overview: COME SEE THIS GREAT 4 BEDROOM (2 NONCONFORMING) 2 BATH HOME IN ELWOOD, NEBRASKA. HOME HAS LARGE 2 CAR DETACHED GARAGE, AS WELL AS ANOTHER DETACHED WORK SHOP. BEAUTIFUL KITCHEN WITH HARD WOOD FLOORS AND ALL APPLIANCES STAY! SET UP YOUR APPOINTMENT TODAY!! Overview: CHARMING 2 BEDROOM 1 BATHROOM HOME WITH ALL NEW WINDOWS. ALL ELECTRIC WITH HARDWOOD FLOORS IN DOWNSTAIRS BEDROOM AND UPSTAIRS LANDING. 1 CAR DETACHED GARAGE AND LARGE DECK FOR ENTERTAINING. COME TAKE A LOOK! Overview: COMMERCIAL PROPERTY IN GREAT LOCATION. LARGE LOT WITH LOTS OF PARKING. ALSO HAS UNATTACHED BUILDING WITH 2 ELECTRIC HEATERS, WINDOW AIR & HANDICAP ACCESSABLE BATHROOM. MAIN BUILDING WAS FORMERLY USED AS A DAYCARE, BUT THE POSSIBILITIES ARE ENDLESS. CALL TODAY FOR AN APPOINTMENT! !